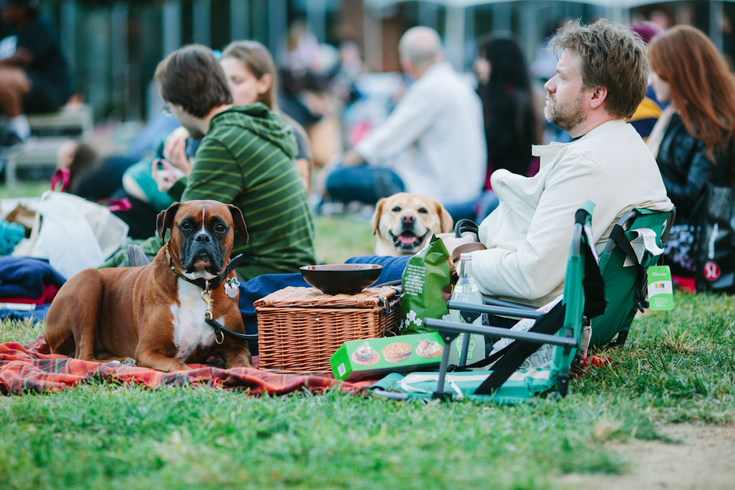 Pack a picnic for Opera on the Mall. Each year, Opera Philadelphia invites the city to Opera on the Mall, a free broadcast screening of an opera at Philadelphia's Independence National Historical Park. Thousands bring chairs, blankets and picnics to enjoy the show. While the event is free for the public, it's pricy to put together. Excluding recording and production expenses, Opera on the Mall costs a minimum of $160,000. This year, while Opera Philadelphia has succeeded in finding a number of corporate and private donors to raise $135,000, the company still needs an additional $25,000 to reach its fundraising target. Through a Kickstarter campaign – launched June 19 – Opera Philadelphia hopes to meet its goal. The company is asking for donations of $10 or more. At the time of publication, the crowdfunding campaign had raised close to $5,000. At this year's Opera on the Mall, Opera Philadelphia plans on presenting "We Shall Not Be Moved," which made its world premiere at the Wilma Theater during O17. The opera pulls from a tragic moment in Philadelphia's past. In the opera, five North Philly teens find refuge in an abandoned West Philly house. They discover the house was once the headquarters for the MOVE organization. "[We Shall Not Be Moved] was an example of how opera can tell our stories and create a dialogue on important issues like racism, gun violence, police brutality and poverty," said David B. Devan, General Director and President of Opera Philadelphia. "By bringing 'We Shall Not Be Moved' to Independence Mall in a free HD broadcast, we can share this important and powerful work with thousands of people who either could not afford to see it last year or could not get a ticket once it sold out," he continued. If the full $25,000 isn't raised, Opera Philadelphia is still committed to doing the event but "likely with a smaller cost footprint – one big screen instead of two, for instance," according to Frank Luzi, Vice President of Communications. So, if you want Opera on the Mall to be as big as past years, consider donating. Opera on the Mall: "We Shall Not Be Moved"